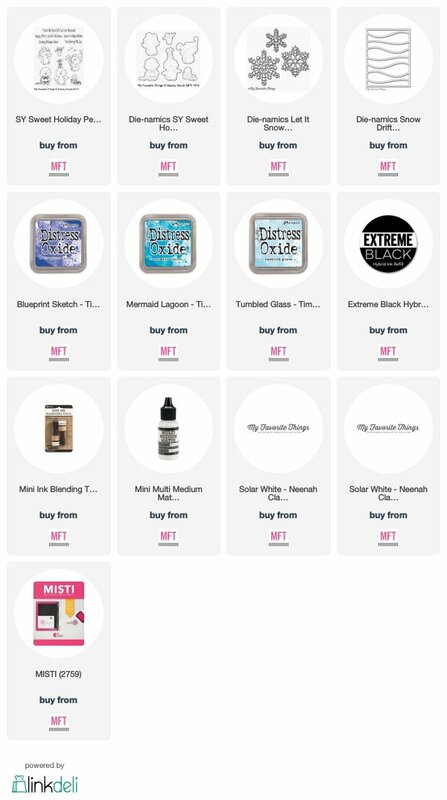 A New MFT Stamp Designer Is In Town – You Brrring Me Joy! Today I am thrilled to be joining My Favorite Things in celebrating the debut of Stacey Yacula to their fabulous stamp design team. Stacey Yacula may well be known to lots of you already and I think her beautifully drawn images are just perfect for My Favorite Things. So today is the release of the new set called Sweet Holiday Penguins. I had a lot of fun experimenting with this lovely set. There are four adorable penguin images to choose from plus a few little extra images including a teeny tiny penguin in a gift box, a present and some stars, and it’s hard to know which one to pick first! 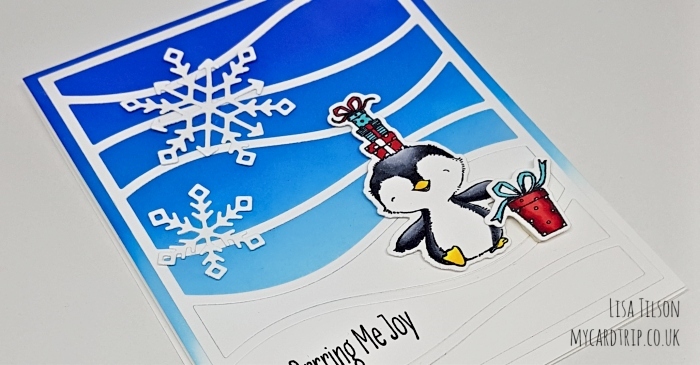 My card was created around me wanting to incorporate the little penguin with my Snow Drifts Cover Up die. I have used this cover die so many times, it really is a staple in my stash. So I die cut it from Neenah 80lb cardstock and set it and the inserts to one side. I then took another A2 panel of Neenah 80lb cardstock and blended three Distress Oxides from top to bottom – Blueprint Sketch, Mermaid Lagoon and Tumbled Glass, making sure that Tumbled Glass would show just over the top of the top snow bank. I added some foam sheet to the back of this panel and adhered it to an A2 base card with DST. Next I took the Snow Drift Cover Up die cut and adhered that and three of the bottom inserts to the inked panel using Ranger Multi Medium Matte. I did stamp my sentiment first onto the middle insert as I thought it would be bulky to put it all in the MISTI at the end. It’s not often I think this far ahead :). This was stamped with Versafine Onyx Black Ink. The images were stamped with Extreme Black Hybrid Ink and coloured with Copics (numbers listed below). These were then cut out with the coordinating dienamics, foam tape added to the back and then adhered to the panel. Lastly, I die cut a couple of snowflakes from Let It Snowflake Too and stuck these down using wet adhesive. That finishes today’s card with this adorable set. I love this set and am really looking forward to seeing what Stacey will create for My Favorite Things going forward. It’s sure to be super cute! Thank you for visiting me today. I have another post coming up today – that one will feature a contemporary Christmas card using the new MFT monthly card kit. 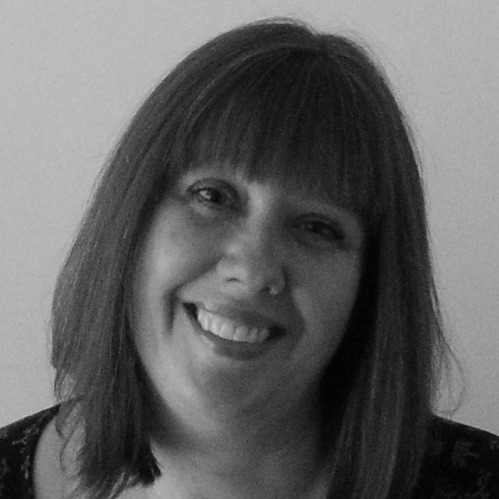 It’s like the buses – you don’t hear from me for days and then two posts in one day! I hope you have some time to get inky today. Amazing cute card Lisa. Your blending is perfect WOW that looks fabulous. I’m waiting for my set to come here managed to order some from Dies To Die For but I also noticed Seven hills had them in to. Couldn’t miss out on these even though I’m band from buying currently.oops ! Great card. Love the stamp set.